I am 8 years old. My principal says there is no need for a School Librarian. Papa says, “If you see it in The Sun, it’s so.” Please tell me the truth, does our school need a school librarian? Virginia, your principal is wrong! S/he has been affected by the skepticism of a skeptical age. She does not believe except she sees with misguided, uninformed authority. She thinks that nothing can be which is not comprehensible by her little mind, which evidently cannot comprehend the true worth of a School Librarian. All minds, Virginia, whether they be adults’ or children’s, are little. In this great universe of ours, man is a mere insect, an ant, in his intellect as compared with the boundless world about him, as measured by the intelligence capable of grasping the whole truth and knowledge. How else would one be able to explain why a principal would eliminate the School Librarian position when years of data show that student achievement is higher in schools staffed with certified, professional School Librarians who co-teach with classroom teachers, who support 21st century technology integration, and who skillfully design relevant, diverse, and appealing print and nonprint collections? How else would a principal dare believe that an untrained assistant could replace a highly qualified School Librarian professional with years of graduate-level coursework in resource selection, instruction, information literacy, reading strategies, motivation, program administration, equitable access, 21st century learning, professional development, and so much more ? How else would one be able to explain why a principal would believe, “our children are not losing any value or knowledge of reading” by eliminating the School Librarian except that the principal does not grasp the whole truth and knowledge that School Librarians, when supported and bolstered by their principals, when given realistic opportunities to plan and co-teach with classroom teachers, and when allowed flexibility to work with students and teachers can entice more students to reading than an entire army of reading specialists? Yes, Virginia, all schools need a School Librarian. S/he is needed as certainly as knowledge, truth, and trustworthiness are needed, and you know that they abound and give to your life its highest capacity to think and create. Alas! How dreary would be the world if there were no School Librarians! It would be as dreary as if there were no Virginias. There would be no childlike love then of Peter Pan or Harry Potter, no Dr. Seuss, no middle school angst or young adult romance to make tolerable this existence. We should have no enjoyment, except in sense and sight. The internal light which fills the childhood world with dragons and hobbits, a velveteen rabbit and a cat named Pete, a redheaded, pigtailed buccaneer’s daughter and a boy with a purple crayon would likely be extinguished. In their stead what might we expect from a naïve clerk? Certainly not an introduction to literacy, to self-learning, or self-discovery. Not guidance in fiction or nonfiction, nor finesse in determining an appropriate read, nor expertise in selecting what to read next if you liked Origami Yoda or Ladybug Girl. There would be no book trailers or book clubs, no information literacy or inquiry learning, no professional development or learning commons. There would simply be an unexploited, squandered, soon-to-be outdated repository funded by taxpayers’ folly. Not need a School Librarian? You might as well not need teachers in the classrooms. You might get your principal to catch the School Librarian at work teaching students to inquire, to ask questions, to think for themselves. 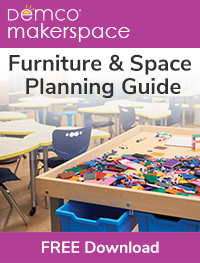 You might share with your principal research indicating the strong relationship between a school’s test scores and the principal’s support of the School Library. What would that prove? Just because the work of School Librarians is not clearly assessed on a standardized test is no sign that their work is inconsequential or superfluous. How would you quantify the data to show value in a student knowing how to choose between appropriate and inappropriate resources or how to find answers to essential questions and then being able to solve problems and communicate that information clearly and concisely? Where would be the data to show value in students who can infer from context clues or cull Internet riff raff? Where is the measurement of a child’s rapt attention to a fairytale? Rarely does the principal really know what the School Librarian does or how s/he contributes to overall student achievement, but that most definitely does not invalidate the need for a School Librarian. The most real things in schools are sometimes those that principals or administrators refuse to see. 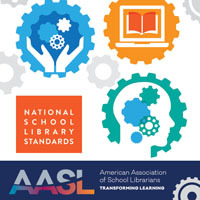 Did you know that School Librarians reinforce reading instructional strategies as part of their national and state standards? Did you know when staffing in the School Library is cut, other language student achievement declines? 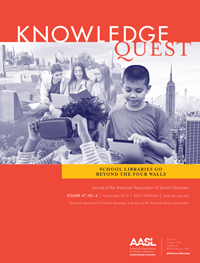 Did you know that 4th grade reading scores were higher in schools with states that gained librarians? Nobody can conceive or imagine all the ways there are unseen and unseeable in which School Librarians support student learning and achievement. You tear apart the baby’s rattle and see what makes the noise inside, but there is a veil of misunderstanding, of misapprehension perhaps, about the School Librarian which not the strongest man, nor even the united strength of all the strongest men that ever lived could tear apart. Only a true leader, an extraordinary administrator, can push aside that curtain and view and picture and value the School Librarian beyond. Is the work of the School Librarian real? Does it make a difference in schools? Ah, Virginia, in all this world there is nothing else real and abiding. No need for a School Librarian! Thank God! Just like Santa Claus, s/he will forever be needed. A thousand years from now, Virginia, nay 10 times 10,000 years from now, s/he will, like Santa Claus, continue to bestow unfathomable gifts of information, of reading, of imagination, and of inspiration to children everywhere. Clinical assistant professor in the Department of Library and Information Studies at the University of NC at Greensboro working with school library candidates. Former elementary, middle, and high school librarian in Virginia, Mississippi, and North Carolina. A clerk at my former school frequently calls for help with various aspects of managing the school media center. It is a painful conversation because she replaced me in the position and I miss the students dearly. She has a good heart and obviously wants to help or she wouldn’t be calling but it makes me weep inside that she is being asked to do a job that she is not trained for and no matter how much she wants to be helpful those students are missing out. A wonderful manifesto. Can I get your permission to circulate this among our schools in San Diego? Along with over 150 schools i have been that library assistant not explicitly asked to do a teacher librarian’s work. I have a MLIS so I thought I could teach myself a great deal. I’ve finally decided to get the credential. I’ve concluded formal training is necessary. This may mean leaving my home state in a few years. In our area credential programs for administrators do not include teaching them how useful librarians are. Now they are waking up to the need for information literacy but look elsewhere than librarians for this. I think if we are to change this trend in California we must look to training new administrators with valuing a functional library.